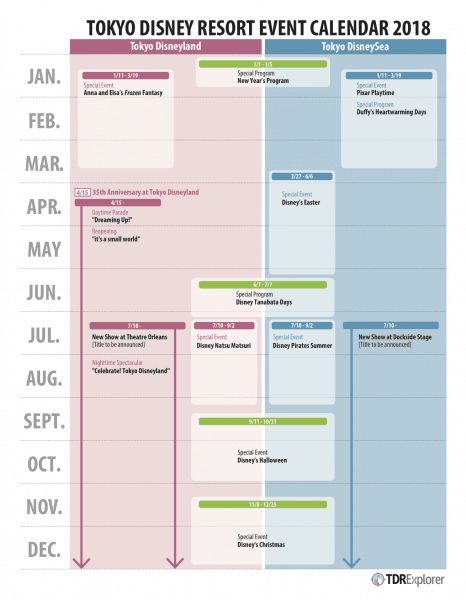 Tokyo Disney Resort has a huge calendar of events for 2018, with seasonal offerings covering almost every day of the year! Highlights include the return of Disney Pirates Summer, and brand new Halloween and Christmas events. The seasonal events are on top of the Tokyo Disney Resort 35th “Happiest Celebration!” which started on April 15, 2018, and runs until March 25, 2019. Check out our 35th Anniversary guide for all the entertainment, decorations, merchandise, and foods details. 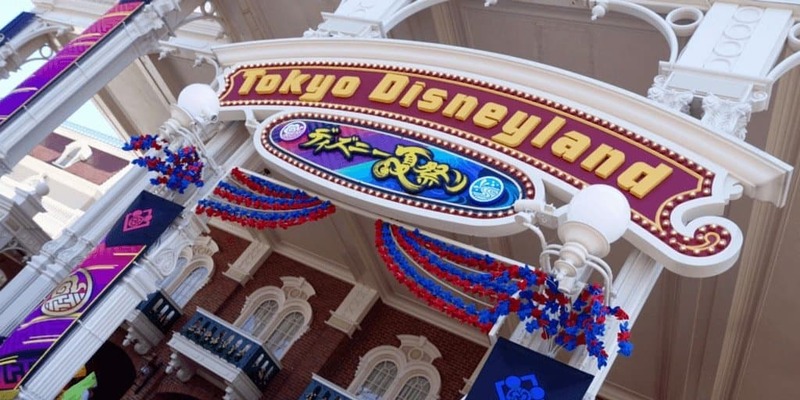 Be sure to read our when to visit Tokyo Disney Resort guide for information on crowds, weather, and planning your visit. Remember to book your tickets ahead of time via Klook to save some money too! A number of the events are running longer than they have in the past. Disney’s Easter usually starts in April but began at the end of March. Tanabata Days is now a full month at both parks (it was three weeks in 2017). During Halloween, a special version of Tower of Terror is happening. I am not sure if it’s just the special Level 13 version that usually happens in the winter. Then in 2019, we’ll see the Pixar Event at Tokyo DisneySea. Which events are you most excited for in 2018? Any ideas for the new Halloween and Christmas events? All images and information from the official press release.